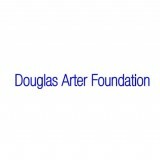 We are delighted to receive a donation from the Douglas Arter Foundation, to assist us in delivering our residential respite programme for Oxfordshire people with learning disabilities. These breaks are a vital support for families and carers who give their unconditional support all year round. They need a break too, like we all do, and Yellow Submarine is only too pleased to help provide one. Thankyou to all the Trustees for agreeing to help us.